If you are new to the world of PHP development and want to excel in it with a fast pace, then you should have a complete acquaintance on some of the most known tools and resources of PHP in the market. These tools will help you to nurture your skills more and will give you ease to develop any application with flawless perfection. 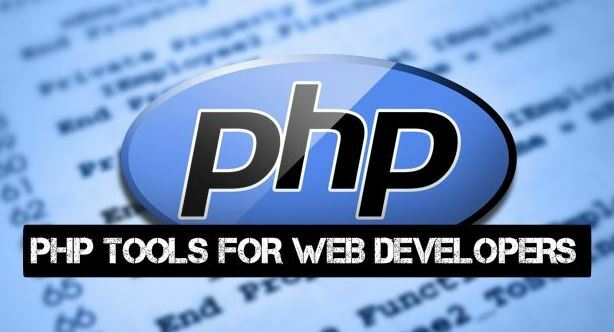 There are many advanced tools and resources for PHP development available in the market. But you should be smart enough to choose and pick the best ones for your developmental practices such as highly immersive frameworks to smart programming IDEs, developer communities to different online PHP portals. There are a lot of stuff available with which you could play and enhance your development skills with them. Just having the knowledge of setting local host with XAMPP or WAMP is not enough. Instead you should know different other stuff besides configuring local host or cPanel. Because just deploying scripts and codes on hosting doesn’t guarantees that you are fully aware of all the developmental functionalities. In fact that’s just a piece of beginning of the development, and you have to go a long mile to fully master the field. Taking hosting for an instance, today there are multiple types of hosting options available to deploy your applications. From VPN to Cloud, the options are really many. But stating about the trending norm, Cloud hosting for PHP is in full swing and is been a top choice of the developers for application deployment. I’ve personally deployed my application on one of the reputed Cloud hosting in the market – Cloudways and found its managed hosting features very modernized. PHPStorm: Built with the most advanced features and development functionalities, PHPStorm tops the chart in the list of best IDEs available in the market. Created by JetBrains, developers from all around the world really love this platform because of its revamped features of PHP application development. Netbeans: It is the best Integrated Development Environment (IDE) for professional developers. It is highly regarded by all the developers’ community because of its multi-language support. It supports all major PHP frameworks, and it also supports major CMS’s like WordPress and Magento for vast development endeavors. Aptana Studio: Aptana Studio is one of those PHP IDEs available in the market which is loved highly by the professional developers. The reason lies for it are many; the platform has many advanced features that make it pretty adequate for all sorts of PHP programmers. Laravel: Laravel is by far ranked as the most popular PHP framework operative around in the circuit. Because a large community of PHP developers admires this framework as the best one for developing large-scale applications. Its advanced inbuilt features fasten development with rapid pace and give ease to the developers to leverage complex developmental functions with it. CakePHP: With the modernized development features, CakePHP also tops the list of best PHP frameworks. The speed and secured reliability it brings to the development makes it an elusive choice for many professional developers. Though its release came more than a decade ago, still it is a top choice for many developers due to its new development features. Symfony: Symfony is a highly stable and top framework for performance monetizing and modernized development. It is a very popular framework in the circuit of professional PHP developers because it strengthens them with a set of reusable PHP components for speedy development of large enterprise web applications. Codeigniter: Codeigniter is a PHP framework built for those intrinsic developers who want hassle-free development in all aspects. The platform is very lightweight and user-friendly that helps understands even newbie PHP developers to perform their functional tasks. Looking at the platform feature-wise, it is equipped with some of the most modernized developmental mechanism which helps developers to build complex web applications. Yii Framework: Yii framework is rightly known for its high productivity and effective MVC features, which is why many PHP developers recommend this framework for optimizing application performance. It is fast, easy to use and rated highly secure for developing enterprise level application. React.JS: Many front-end developers love React.JS because of its easy coding syntax. As you simply just have to recall your HTML writing skills to get on track with the React.JS and build optimized front-end applications with it. Angular.JS: Angular.JS could be perfectly stated as the super-heroic front-end framework which has advanced features like RXJS, faster compilation, new Http Client launch, and much others to make front-end development faster and hassle-free. Vue.JS: If you want to master a front-end framework that is viable for creating highly adaptable user interfaces, then you should get complete mastering on Vue.JS. It is a creative front-end development tool that lies perfectly for building highly optimized interactive applications. WordPress: WordPress can be surely rated as the best and most used CMS platform for developing all sorts of the web application. So you could simply use this CMS platform to develop any large-scale PHP application. As it offers a wide variety of plugins and other resources with which you could play all along and develop interactive PHP web apps. Magento: Built solely for the e-commerce applications, Magento has got the large share of PHP developers who regularly use this platform to build entrancing e-commerce web apps. So it’s the best choice for those PHP developers who want to enlarge their developmental skills on that professional platform which provides unlimited functional features. Drupal: Drupal is also one of the most used CMS platforms for developing web applications, and also one of the most regarded platforms by many PHP developers. Because you can easily develop your custom PHP applications with this platform with great ease as it provides many in-built features to facilitate your desired PHP web apps. OpenCart: OpenCart is an online shopping cart system, which is built on PHP and provides perfect e-commerce solutions. Its PHP based backend gives you ease to develop all sorts of online e-commerce stores that integrates all advanced functionalities which a top-class e-commerce store tends to have. Joomla: Joomla also comes in the list of top 5 CMS platforms operative widely in the world. With Joomla, you can develop large-scale PHP applications because it is a PHP based platform and supports its functionalities to develop all types of interactive web apps. PrestaShop: With Prestashop, you can develop creative online e-commerce solutions with complete ease. Developed in PHP, the platform becomes a top choice for PHP developers to develop ingenious e-commerce web apps with advanced functionalities. PHPUnit: PHPUnit is a famous testing framework for PHP which allows developers to find mistakes in their code quickly, and also to get the best solutions for it. PHPUnit utilizes ‘assertions’ to completely authenticate that the specific component tested behaves accordingly. PHPSec and Codeception are the two popular testing tools which uses PHPUnit framework for doing effective testing operations. So, both of them are largely recommended by the developers as the perfect unit testing tools for complex codes. Dreamincode: Dreamincode also comes in the list of top developer communities. As PHP enthusiasts from around the world cater here to discuss and debate on ranging PHP topics. The platform rightly constitutes with the 500,000 registered developers, who actively share their broad ideas on different topics. 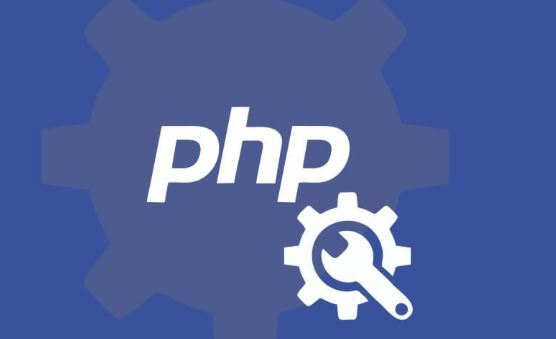 So summarizing all above shortly, opting for these tools for gearing up yourself for PHP development gives you best stack of advanced resources which you will need for your web application project. As these tools allow you to unleash your learning potential on one of the world’s most used programming language i.e PHP and will enhance your skills over it to foster enterprise and commercial level applications.